The Sudbury Ephemera Archive made its first public appearance early in the year at the SUDBURY ON SHOW event sponsored by the Town Council. 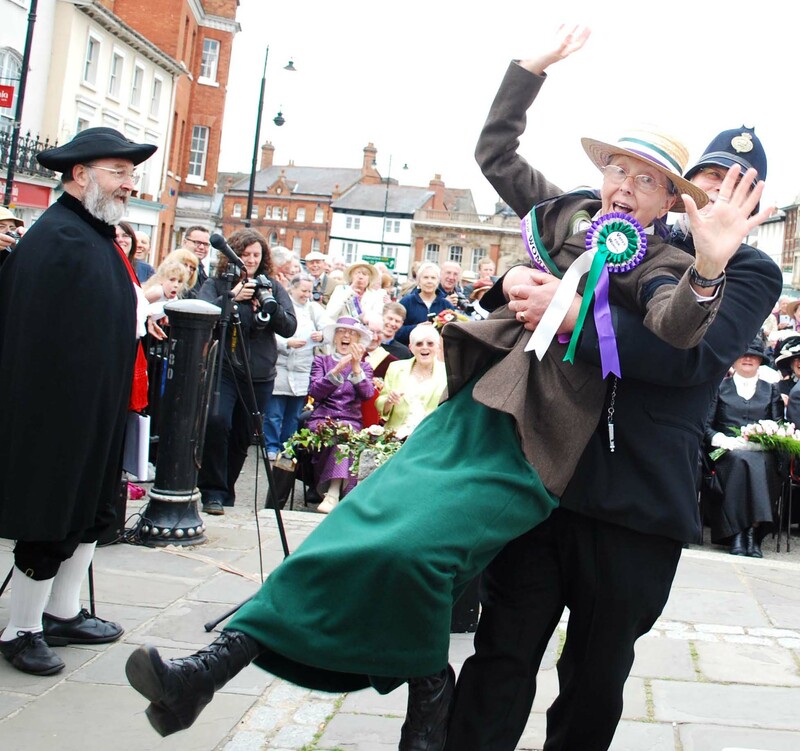 Our next event was thanks to the generosity of Gainsborough’s House when they allowed SEA to hi-jack their celebrations to commemorate the 100th anniversary of the unveiling of the Thomas Gainsborough statue outside St Peter’s Church on Market Hill. 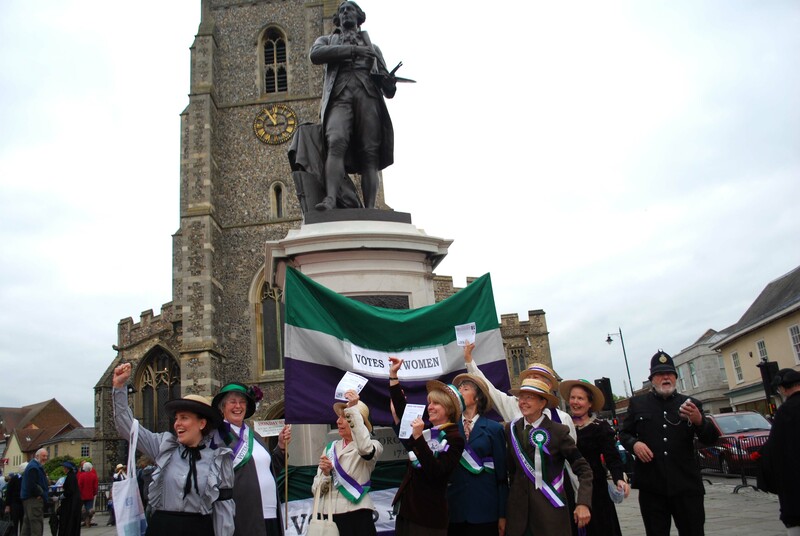 As in keeping with the time of the original event on 10th June 1913, SEA members aided and abetted by members of the Suffolk Family History Society, burst from St Peter’s Church with a noisy protest for the Suffragette Movement. Each member was wearing a black armband to acknowledge the recent (in 1913) death of fellow Suffragette Emily Wilding Davison who had died after being knocked over by the Kings horse during the Epsom Derby just days before. After the initial surprise the audience and dignitaries seemed to enjoy the noisy interruption. 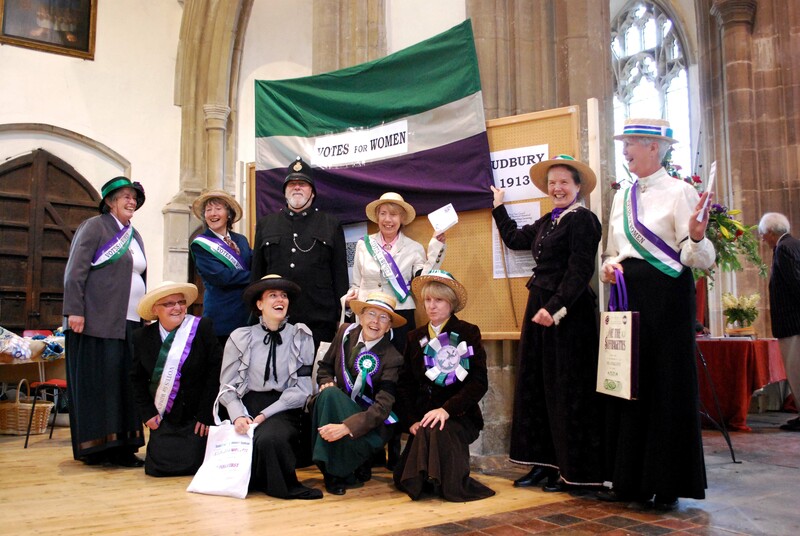 The ‘Suffragettes’ certainly enjoyed the event and are working on their next escapade………..